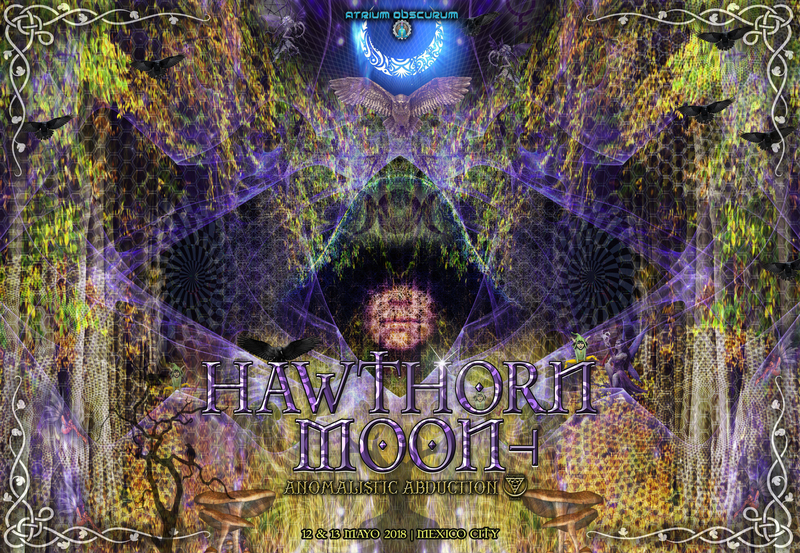 We invite you to come and gather under the beautiful crescent moon as we enter the magical Hawthorn Moon period. This gathering and dance ritual will honor the beginning of the Hawthorn Moon, commencing the evening of May 12. What is Hawthorn Moon? Its Celtic astrology! The system of Celtic tree astrology greatly differs from the North American zodiac signs. This type of astrology was created by Druids - members of the high-ranking professional class in ancient Celtic cultures. It is said that Celtic tree astrology was designed using the natural connection that Druids had to Earth cycles and the sacred knowledge they believed was held by trees. In Druid culture, trees were thought to contain spirits and vast amounts of knowledge and wisdom. In Celtic astrology, trees symbolize life, death, and renewal The Hawthorn moon period is full of magic. It’s a time of sacred union, community building, and fertility. Some believe this tree houses the fairies. Along with oak and ash, Hawthorn forms the “fairy triad” that is especially inviting to fairies. Hawthorn is, in some ways, the fairy tree, forming a portal to the fairy realms and holding strong magic. The Hawthorn fairy offers access to the Otherworld, but also protects the unwary, so it is important to be patient with this spirit. She can enchant your life, bringing growth and fertility to all areas. She suggests union of sun and moon, and of male and female. She promises cleansing, fulfillment, guardianship, and fertility. Keeping grounded and practical is the best way to access her and use her gifts. We will have a community altar setup and invite you to bring an offering or something you would like to share in honor of Hawthorn. It’s a great time to focus on love, fertility, sacred unions, and community building. ¿Qué es Hawthorn Moon? El sistema del árbol Celta. la astrología fue diseñada usando la conexión natural que los druidas tenían para los ciclos de la Tierra y el conocimiento sagrado que creían que era sostenido por los árboles. En la cultura druida, se pensaba que los árboles contenían espíritus y grandes cantidades de conocimiento y sabiduría. En la astrología celta, los árboles simbolizan la vida, la muerte y renovación. El período de la luna Hawthorn está lleno de magia. Es un tiempo de unión sagrada, construcción de comunidad y fertilidad. Algunos creen que este árbol alberga a las hadas. Junto con el roble y la ceniza, Hawthorn forma la "tríada de las hadas" que es especialmente invitando a las hadas. Hawthorn es, de alguna manera, el árbol de las hadas, formando un portal a los reinos de las hadas y sosteniendo una magia fuerte. El hada Hawthorn ofrece acceso al Otro Mundo, pero también protege el incauto, por lo que es importante ser paciente con este espíritu. Ella puede encantar vida, trayendo crecimiento y fertilidad a todas las áreas. Ella sugiere unión de sol y luna, y de hombre y mujer. Ella promete limpieza, cumplimiento, tutela y fertilidad Mantenerse firme y práctico es la mejor manera para acceder a ella y usar sus dones. Location will be released one week before the event. The event will take place 1-2 hours outside of Mexico City. 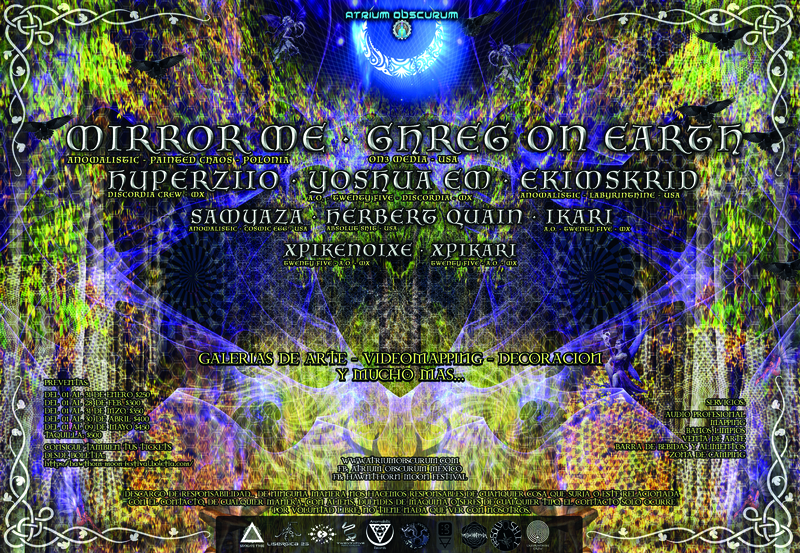 No nos hacemos responsables ... de ninguna manera de cualquier cosa que surja o esté relacionada con el contacto con extraterrestres, duendes, hadas objetos voladores no identificados (u.f.o)o seres de cualquier tipo. El contacto solo ocurre por libre voluntad; no tiene nada que ver con nosotros.